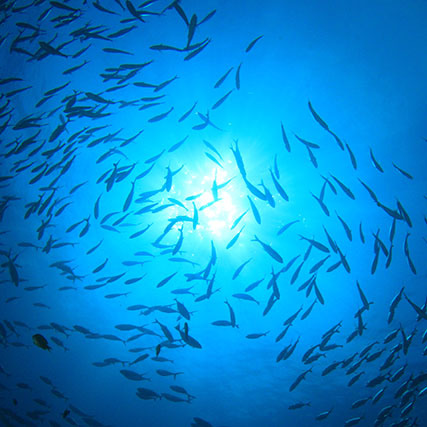 SAPMER has committed itself to sustainable fishing since 1947. Being an active role player in the preservation of marine resources is an ongoing imperative for our teams, working in strict compliance with regulations and quotas. The regulatory framework governing the fishing of the Patagonian Toothfish is one of the most stringent and binding in the world. It is subject to individual fishing quotas determined before each fishing campaign on the basis of scientific data analyzed by the agents of the Paris Natural History Museum. In this respect, the French Southern and Antarctic Lands administration (TAAF), responsible for southern fisheries, established a management plan in 2015 in collaboration with all fishing-related stakeholders and SAPMER. This plan formalizes actions undertaken by the company for the preservation of the Patagonian Toothfish resource. Furthermore, the fishing data recorded on each one of SAPMER longliners participating in this fishery near the Kerguelen and Crozet Islands contributes to the scientific database on the Patagonian Toothfish. These elements are strictly checked by a fisheries TAAF controller on board 24h/24h and during all tides of all ships. Information on this rare fish is therefore continuously compiled, so that the evolution of the species may be evaluated. The knowledge gained contributes to actions undertaken by the company in favor of sustainable fishing. Fishing for Rock Lobster has become a tradition for SAPMER since 1947. From the very beginning, its teams have been committed to sustainable fishing so as to preserve Rock Lobster resources. The fishing quotas allocated by the French Southern and Antarctic lands at the beginning of each campaign around Saint Paul and Amsterdam Islands are strictly respected by the teams. In 2006, this area was classified as a marine nature reserve of the French Antarctic Territories. SAPMER fishermen still pursue their activities in close collaboration with the agents of the reserve in a bid to preserve this unique environment. 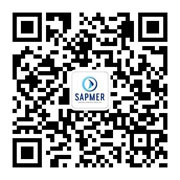 In an attempt to contribute to the efficient management of marine resources, SAPMER therefore committed itself to a vast operation in Spring 2016 aiming at improving knowledge on the Rock Lobster. No fewer than 5000 lobsters were tagged and counted, thereby leading to a better understanding of the species’ migration patterns. This also enables the quantification of the resource in order to better protecting it. As the founding member of the Fondation des entreprises des mers australes, SAPMER works tirelessly towards the improvement of knowledge and the reinforcement of virtuous fishing practices through the work of the Foundation. A research project on possible interactions between cetaceans and fisheries activity was recently launched. Commendable fishing conducted by SAPMER is accompanied by concrete actions towards the management of marine resources. Thus, SAPMER makes its contribution by putting its fishing vessel, AUSTRAL, at the disposal of the Paris Natural History Museum, every three years, for scientific campaigns on the Patagonian Toothfish. Samples are taken to determine the status of the resource. For its part, SAPMER’s patrolling vessel, Osiris, is responsible for the monitoring of Patagonian Toothfish fishing zones to combat IUU fishing (Illegal, Unreported, and Unregulated) and thus to prevent the clandestine catch around the Kerguelen contributing in breach of this precious resource. SAPMER is also a member of the ISSF (International Seafood Sustainability Foundation), a foundation regrouping the most renowned experts in the scientific community, the largest companies involved in the production of Tuna and the WWF (World Wildlife Fund). Its mission: safeguard the sustainability of tropical tuna stocks by reducing by-catches and ensuring the protection and health of the marine ecosystem. SAPMER is recognized by several certifications including MSC, Friend of the Sea and Dolphin Safe, which attest to his commitment to sustainable fisheries.